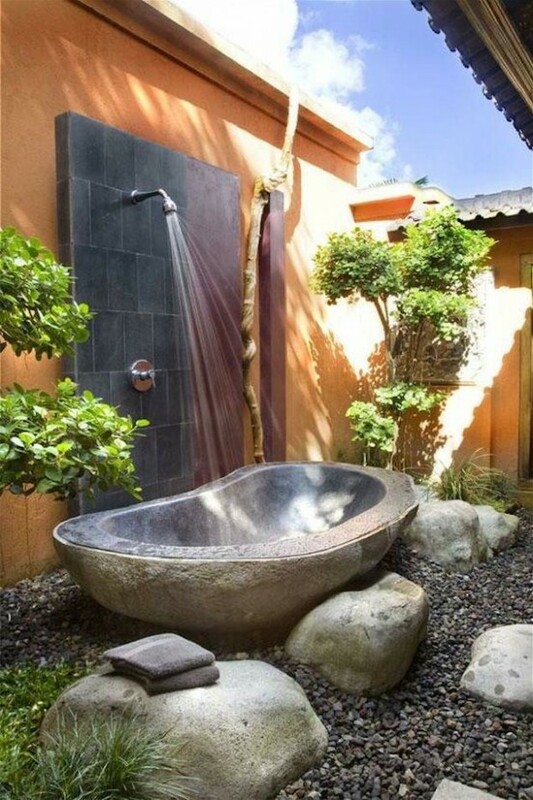 Stone bathroom is the best idea for you who want to bring the nature touch into your house. Stone give the effect of elegance, warmth, and timeless in your bathroom. You can install them for your countertops, walls, flooring, washbasin, sinks and tubs and also tiles. Nowadays, you have the alternative of stones. They are engineered stone which has natural stone appearance but they cost less than the natural one. Here some examples of natural and engineered stones which will make your bathroom to have never ending natural beauty. There are so many kinds of exotic stone. You cannot ignore that natural stone is exotic. The first choice is granite. Granite is durable and it can come in various finishes from glossy to flat. Granite is resistant to strain but you should avoid using abrasive cleaners for your granite tiles since they can scrape the surface. Granite is hard to maintain and also one of the expensive stone material. If you want to install this kind of stone just prepare some budget on it or you can use the granite slab which is less expensive. The second natural stone is marble. The texture of the marble is softer than granite and that is why marble is not as strong and resistant to strain as granite. If you seal the marble properly, you will find your marble tiles stand for a long time. 3. limestone, soapstone, and slate. There are some other options of natural stone that you can choose such as limestone, soapstone, and slate. The limestone is very easy to be scratched, so you must be careful while taking care of your limestone tiles. But do not worry because limestone is very beautiful. They appear in different varieties of brown shades. The slate is another recommended option. Although it is very countrified look, but it has various shades and colors. And the last is soap stone. Soap stone has grayish green color. It needs regular maintenance and also covering to prevent the stone from being darken. Not only natural stone, but also engineered stone can work as well as the natural one. Engineered stones can be the alternative for your stone bathroom because they are less expensive than the natural stone. So, do not feel that hopeless if cannot reach the price of natural stones. 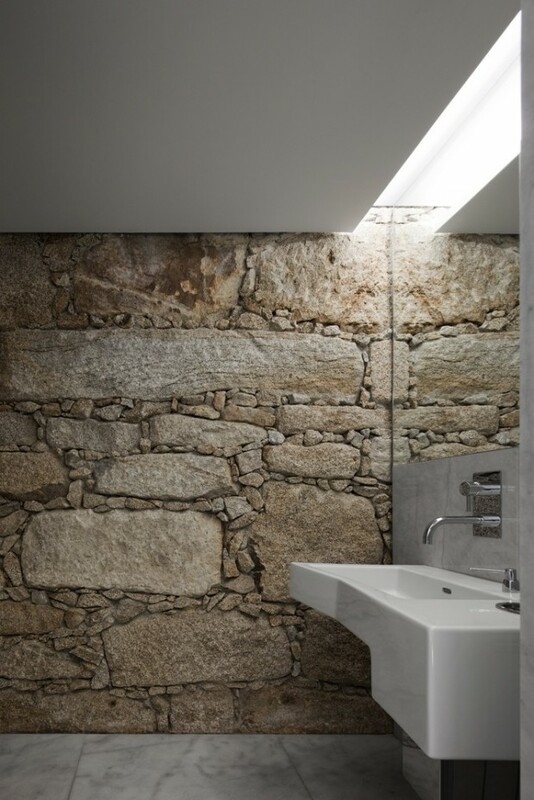 You can still get the touch of stone in your bathroom through the engineered stone. Engineered quartz has similar look with granite and also more sturdy. Quartz is made from quartz pieces and no necessary to seal. The next one is enameled lava stone. It has high temperature enamel around it and glass-like sheen just like laminated plywood. The next engineered stone is laminated stone. Laminated stone consist of granite sheets or marble which is glued together and it is lighter and less expensive than natural stone materials. The last engineered stone is solid surfacing. Solid surface is produced from plastic resin composites and designed to have the natural stone look. Solid surface comes in a variety of thickness and colors. 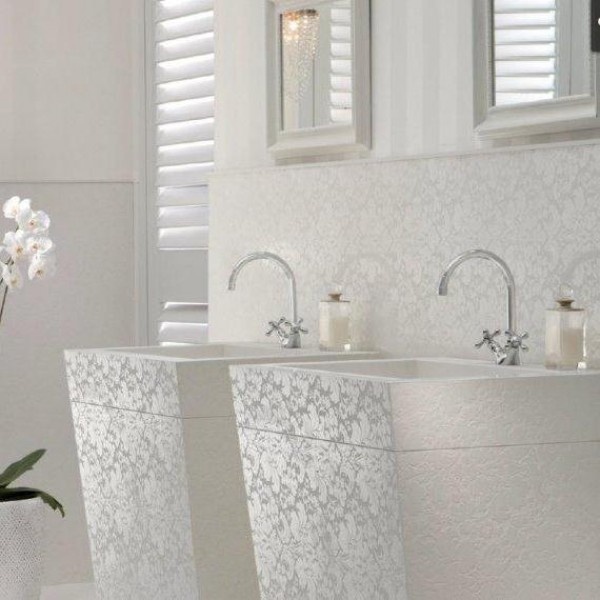 Moreover, solid surface can be suitable for any bathroom’s style and mood. 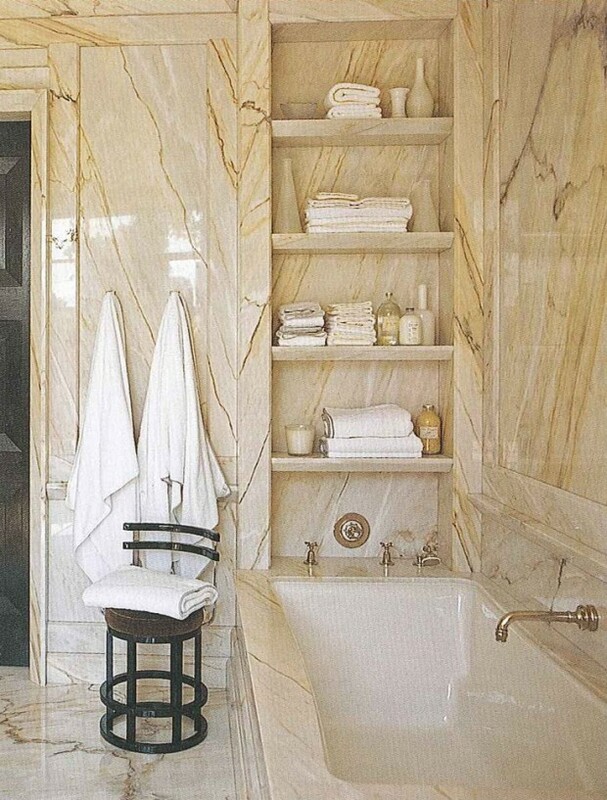 It does not matter if you have the natural stone or the engineered one in your bathroom. Both of them are beautiful with their own characteristics. All in all, the most important thing is you must choose the stones wisely then you will get the best design for your stone bathroom.